Enjoyed playing OLO just now, a game/experiment using latest features of CSS3 and HTML5. Found it to be mellow, minimal and with some simple constraints to make it interesting. 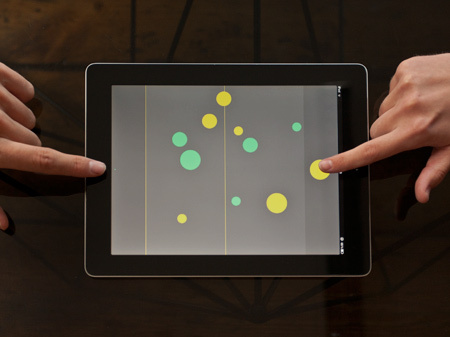 OLO is a free game developed for finger-flicking fun on touch devices. Play it straight in the browser or offline and full-screen… no internet required! To play, visit this page on an iPad or an iPhone (3GS or 4) or download now from the Android market.